Larvae feed on a variety of grasses a number of which are in the University Creek area. Details of larvae not recorded. 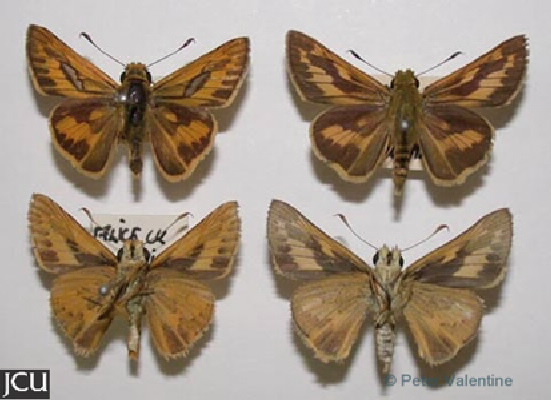 Adults brown with pale yellowish-orange markings on the upper surface, lower surface basically yellow or orange yellow.